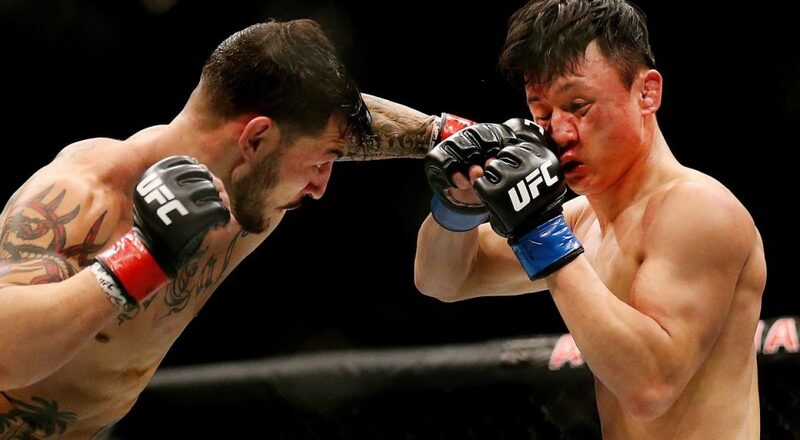 Pettis was a big disappointment, Choi/Swanson was epic and does Cowboy get a title shot now? We recap UFC 206, Talk to MMA/UFC Videographer Heidi Fang, and go guilty or not guilty. With a win over Super Sage this weekend, there may be a new name in the works for Gall. If he wins, he needs to call out another beatable opponent with a big name. Rob Reid of Muay Thai Whitby explains the crossover potential and necessity for Muay Thai in modern MMA. Drink in The Black Beast's top five knock outs. Simon Says: A return to the Featherweight division of the past will come with some work, including selling fans on Jose Aldo.